I first met Dr. Alejandro Parra via correspondence during the 1990s. At the time he was developing a parapsychology journal in his country, Argentina, and he invited me to send him articles, which I gladly did. In later years I met him at various conventions. 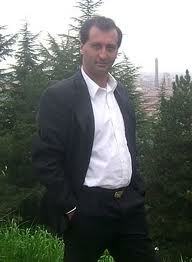 Over the years Alejandro has conducted many studies and written widely about the field. 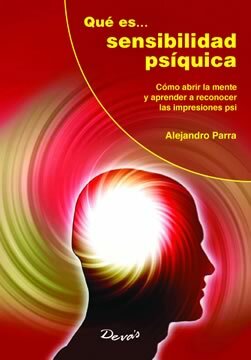 He is currently the editor of the E-Boletín Psi, an online parapsychology journal in Spanish, and has also compiled articles in several works, among them Psicología de las Experiencias Paranormales (Psychology of Paranormal Experiences), a unique work in the Spanish language literature. Alejandro was not the first person from Argentina to be involved in parapsychology. For example, we remember with appreciation the work and research of figures from the past such as Orlando Canavesio and J. Ricardo Musso, as well as other contemporary individuals, many of whom have worked with Alejandro. However, he has published more articles in the international parapsychological literature than any previous or contemporary researcher from his country. In addition he was recently elected President of the Parapsychological Association, a first among students of psychic phenomena in his country. I do not remember any time in my life in which mystery, the unconventional, the marginal to scientific knowledge, was not of interest to me. I started to get into parapsychology in the mid 1980s. After having had an experience with a ouija board when I was 14 years old, I started taking courses and attending popular conferences. In those years the main pioneers of the field had already died, parapsychology was not included in any university program, and after the military dictatorship in Argentina (1976-1983) ended many parapsychology centers appeared and began to offer courses, lectures, and programs to develop ESP. To learn parapsychology you had to read by yourself. I have not been a parapsychologist with many psychic experiences. My parents were not interested in the field, and I felt alone in parapsychology. This changed in the 1990s when I started to publish the Revista Argentina de Psicología Paranormal (RAPP; Argentinean Journal of Paranormal Psychology), and when I (with others) created the Instituto de Psicología Paranormal (Institute of Paranormal Psychology) in Buenos Aires. We brought together several independent researchers to start conducting scientific research in the field. All the áreas of parapsychology are of interest to me. I started via a study of the history of the field, particularly the history of parapsychology in Argentina. Then I worked on many projects, such as editing the RAAP for 14 years, until 2004. Starting in 1994 I worked on education in the field, giving courses and lectures that continue to this day. This includes the Encuentro Psi (Psi Encounter, between 1994 and 1998) conventions, many discussion forums (from 2006 to this day), and over a hundred courses and seminars. In terms of research I have developed a laboratory to conduct ESP tests in the ganzfeld, using the psychomantheum, and hypnosis. I have also conducted studies of psychometry. Another area of great interest to me, as a clinical psychologist, is the creation of strategies to counsel people who have had worriesome paranormal experiences, or who need to find explanations for or the meaning of their experiences. This work has been the best of my career in parapsychology. I think that parapsychology is important for many reasons. First because it defies our current views of the mind. Second because it contributes to other areas, such as quantum perspectives, the understanding of consciousness, and research on survival of bodily death. In times in which it is easier to communicate through cell phones instead of via telepathy, or the possibility of influencing mentally physical systems in relation to finding a “God particle,” I think that parapsychology must learn to reinvent itself, must be useful for something, and not only for sterile theoretical or ideological speculations, or for debates on TV. Parapsychology must learn to recycle itself in terms of new findings in science. Its findings should not be part of the (sad) histoy of the pseudosciences, as many skeptics would like it to be. I think that as parapsychologists we have not paid attention to our main interest, the “heart” of parapsychology, that is, how psi works, what variables operate in its emergence or in its decline. We know little about psi after over 100 years of research. This is not good. Another negative thing is the progress of skepticism of parapsychology. Skepticism is positive, but militant skepticism is damaging because it extinguishes creativity in science. Parapsychologists have been very creative, because investigating psi requires more ability and ingenuity than that in any other scientific field. Different from psychology, a virtue in parapsychology is to overcome the frustration of not finding positive results in some of our studies about the existence of the phenomenon, something that is not the case in other sciences. Another weakness of parapsychology is the absence of a theory that allows us to better understand psi and how to make progress. For example, the conventions of the Parapsychological Association present a “soup of scientific designs” without internal coherence; there is little agreement about what we should look for and how we should do this. It is a good program of different lines of investigation but it lacks a specific direction. Parapsychology is a small community, and I frequently feel it is a miracle that it has survived. In Latin America we have produced a productive line of research that I call “psychic sensibility,” which brings together the study of psychics, dowsers, healers and mediums. These four categories coincide in a way in forms of psychic sensibility that mix psi experiences with creativity, fantasy proneness, transliminality, propensity to (positive) schizotypy, visual imagery, openness, affective empathy, and belief in the paranormal, among other variables that affect paranormal experience. Of course, all of this depends on the role played by each category, but a psychic may perform as a healer, a healer as a dowser, a psychic as a medium, and a medium as a healer. We are interested in understanding how these roles work in terms of the social function of the “sensitive.” We have studied many variables in relation to people with various types of paranormal experiences, such as seeing auras, premonitory dreams, out-of-body experiences, and apparitions. In all of this it is posible to find a personality “profile” of propensity to the anomalous experience that does not have pathological aspects and that is compatible with any theory of normal personality. It is important to “plant” articles in more journals of psychology, psychiatry and mental health to normalize these experiences among the scientific community. This is what I have been doing. We have a great decade in front of us and we will celebrate the 20th anniversary of the Instituto de Psicología Paranormal (Institute of Paranormal Psychology) in 2014! (2012). Percepciones Imposibles: Alucinaciones, visiones y otras experiencias perceptuales inusuales [Impossible Perceptions: Hallucinations, Visions and Other Unusual Perceptual Experiences]. Saarbrüken: Lambert Academic Publishing / Editorial Académica Española. (2011). ¿Qué es… Sensibilidad Psíquica? [What is . . . Psychic Sensibility?]. Buenos Aires: Longseller. (2010). Poderes de la Mente: Últimas investigaciones en psicología paranormal [The powers of the mind: The latest research in paranormal psychology]. Recen Málaga: Corona Borealis. (2009). El mundo oculto de los sueños: Metáfora y significado para comprender toda su riqueza [The occult world of dreams: Metaphors and meaning to understand their richness] Buenos Aires: Kier. (2006). [with J.M. Corbetta]. Imágenes de lo oculto: Exposición fotográfica de espiritismo, esoterismo y lo paranormal [Images of the Occult: Photographic Exposition of Spiritism, Esoterism and the paranormal]. Buenos Aires: Museo Roca –Instituto de Investigaciones Históricas [digital format]. (2006). [Compiler]. 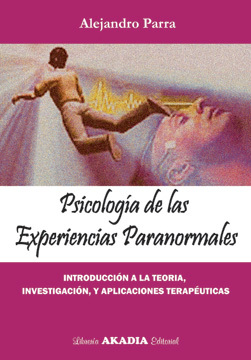 Psicología de las experiencias paranormales: Introducción a la teoría, investigación y aplicaciones terapéuticas [Psychology of Paranormal Experiences: Introduction to theory, research and therapeutic applications].Buenos Aires: Akadia. (2005). Sueños: Cómo interpretar sus mensajes [Dreams: How to interpret your messages]. Buenos Aires: Kier. (2003). 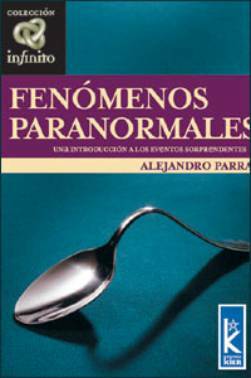 Fenómenos paranormales: Una introducción a los eventos sorprendentes [Paranormal phenomena: An introduction to surprising events]. Kier: Buenos Aires. (1994). [Compiler]. Actas del Primer Encuentro Psi 1994: Nuevas dimensiones en parapsicología [Proceedings of the First Psi Encounter 1994: New dimensions in parapsychology]. Buenos Aires: Instituto de Psicología Paranormal. (1990). Historia de la parapsicología en la Argentina [History of parapsychology in Argentina]. Buenos Aires: Author. (2014). [with Juan Manuel Corbetta] Parra, A. Changes resulting from paranormal/spiritual experiences and their effects on people’s wellbeing: An exploratory examination. Journal for the Study of Spirituality, 4(1). (2013). [with Juan Manuel Corbetta]. Experiencias paranormales y su relación con el sentido de la vida. Liberabit, 19(2), 251-258. (2013). [with Juan Manuel Corbetta]. Group therapy for anomalous/paranormal experiences: Post-effect preliminary examination of the humanistic approach. Journal of Exceptional Experiences and Psychology, 1(2), 20-26. (2013). [with Juan Carlos Argibay]. Psi and death of the person-target: An experiment with highly emotional iconic representations. NeuroQuantology, 4(1), 537-543. (2013). A phenomenological examination of premonition experiences in dreams and waking states: A survey study. Australian Journal of Parapsychology, 13(2), 187-212. (2013). [with Juan Carlos Argibay] Anomalous remote diagnosis: mental and motor psi impressions under iconic representation of the person-target. Journal of Parapsychology, 77, 123-130. (2013). 2012 Presidential Address: What have we learned about psi? Reflections on the present of parapsychology. Journal of Parapsychology, 77, 9-20. (2013). [with Juan Carlos Argibay]. A free-response ESP test in two hypnotic susceptibility groups: A pilot study. Australian Journal of Parapsychology, 13(1), 27-35. (2013). Cognitive and emotional empathy in relation to five paranormal/anomalous experiences. North American Journal of Psychology, 15(3), 405-412. (2012). Relación entre las experiencias paranormales y esquizotipia positiva/negativa. Acta Psiquiátrica y Psicológica de América Latina, 58(4), pp. 246-255. (2012). [with Juan Carlos Argibay]. Dissociation, absorption, fantasy proneness and sensation-seeking in psychic claimants. Journal of the Society for Psychical Research, 76.4, (909), pp.193-203. (2011). [with Jorge Villanueva]. Mirror-gazing facility and psi: examining personality measures. Journal of the Society for Psychical Research, 75.4, (905), pp.178-190. (2011). Thinking styles of psychic claimants. Australian Journal of Parapsychology, 11(1), 61-71. (2010). Exámen correlacional entre experiencias anómalo/paranormales, disociación, absorción y propensidad a la fantasía. Revista Iberoamericana de Diagnóstico y Evaluación Psicológica, 29, 77-96. (2010). [with Luis Espinoza Paul]. Extrasensory experiences and hallucinatory experience: Comparision between two nin-clinical samples linked with psychological measures. Journal of the Society for Psychical Research, 74.3 (900), 1-11. (2009). Testeando el modelo disociacional de las experiencias alucinatorias en individuos saludables: Relación con la personalidad y la propensidad a la fantasía. Revista Latinoamericana de Psicología, 41(3), 571-586. (2009). [with Juan Carlos Argibay]. An experimental study with ordinary people for testing “sacred” objects through psi detection. Journal of the Society for Psychical Research, 73.1 (894), 41-49. (2008). Efectos de las experiencias espirituales/paranormales en la vida de las personas y su bienestar psicológico. Revista Argentina de Clínica Psicológica, 17, 233-242. (2007). [with Juan Carlos Argibay]. Comparing a free-response psychometry test with a free-response visual imagery test for a non-psychic sample. Journal of the Society for Psychical Research, 71.2(887), 91-99. (2006). [with Juan Carlos Argibay]. Interacción entre susceptibilidad hipnótica y experiencias disociativas en una población que reporta experiencias anómalo/paranormales. Revista Interamericana de Psicología, 40(2), 233-240. (2005). Los fenómenos parapsicológicos: Experiencias psicológicas no convencionales. In R. D. Alarcón, G. Mazzoti, & H. Nicolini Sánchez (Eds. ), Psiquiatría (2nd ed.) (pp. 187-193). México, DF: El Manual Moderno/Organización Panamericana de la Salud.